Day 105 – Wednesday, June 22 – stealth camp [dennytown road] to stealth camp [old route 55], 22.7 miles, 1,440.4 total at miles. A few notes – the keyboard is acting up again. I’m trying to keep it charged as that seems to help the shift keys work better. But it’s been charging all day, so who knows. Also, it really stinks trying to piece this thing together without my notes or pictures. I haven’t really written about what it takes to keep this blog running – if I have solid cell phone reception, I can usually write and upload a post in an hour to an hour and a half. Losing my phone has really put me behind. I woke up on the pavement in the parking lot of the trail head shivering. It got unexpectedly cold overnight. I woke up at around 3-00am and grabbed my tent out of my bag. Instead of setting it up, I covered myself with the rainfly. It worked – I stayed nice and toasty all night. So when I did finally wake up at 6-45, it was only fitting that McDoubles was standing over me with his camera grinning, taking pictures of black santa and myself as we slept in the most awkward fashion ever. I stood and started packing, chatting with McDoubles as I did so. He was just a hundred yards up trail and had backtracked to retrieve water – he certainly wasn’t expecting to find us there. I was packed quickly and made my way down to chat to with savage and Champa. Pawling, ny [and our train to brooklyn] still lay almost 30 miles away. Savage, Champa and McDoubles were planning on tenting near nuclear lake, a full 25 miles away – black Santa and myself wanted to potentially make it all the way to Pawling, or as close as possible. We all started hiking north at 7-00. I remember feeling tired and quickly took the rear of the line – black Santa sped off. He really wanted to make it to Brooklyn by tonight – I was beginning to have reservations. 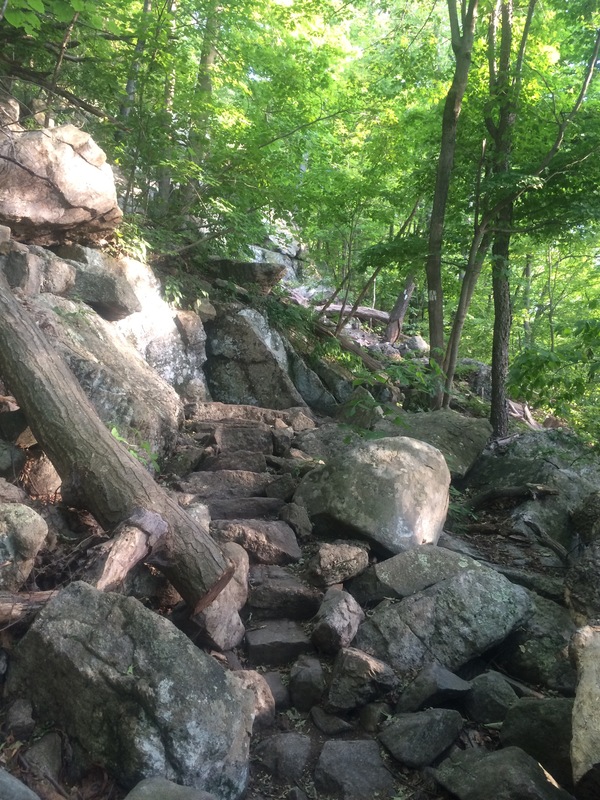 While the trail had certainly gotten less rocky the further we got away from nj, the elevation profile was still just as jagged – all these short, but steep, ups and downs were brutal. But my feet were feeling better than they had in weeks – I wish I had my trail runners sent to me sooner. I thought I was further behind that I actually was – I stopped at the rph shelter at 1-00pm to make lunch and refill water from the hand pump just off trail. I was surprised to find savage, Champa and McDoubles relaxing there as well. I quickly cooked in the mid-day heat and ate. I sat in the shade as the rest of the group packed up. While I didn’t intend on night hiking tonight, I was still on a night hiking sleep schedule – and it was nearing nap time. I grabbed an empty bunk and unfolded my sleeping pad, saying goodbye to my hiking buddies as I laid down to get some sleep. I woke again at 4-00 and checked my phone. Black Santa was five miles ahead, relaxing at a roadside deli – he was moving slowly today as well. After a quick stop at the privy, I was hiking north again at 4-30. At 7-00, I found myself at the same deli – black Santa was long gone, but savage, Champa and McDoubles were relaxing in the shade behind the restaurant. I went inside and ordered dinner, eventually making my way back outside to chat with them. While they were shooting for nuclear lake [still nine miles up trail], they decided to tent behind the restaurant – it was actually a very nice spot, with a large grassy area in the back perfect for a stealth camp. I was tempted to stay, but decided to press on. I was crossing I-84, when I received a text from black Santa – he was throwing in the towel. While he could still make it to Pawling, and catch the last train to Brooklyn, he was started to get tired. He neglected to take a nap this afternoon and was running out of steam following last night’s night hike. I told him I’d catch up soon. But then the sun went down and I entered some particularly thick forest. I was doing all I could to keep up a pace of over a mile per hour. I also remember having a difficult time staying on trail – this section crossed numerous side trails and they’re often times poorly marked. I was making a substantially difficult midnight descent towards ny55 when I finally found black santa’s tent just a few yards off trail. I woke him up as I set up my own tent. We reiterated our plans to get an early start so we could make it to Pawling as soon as possible the next day. I remember falling asleep as soon as my head hit the pillow. Again, no pics or notes from my food diary for today. Sorry everyone. Author Chris KummerPosted on June 27, 2016 Leave a comment on Day 105 – Wednesday, June 22 – stealth camp [dennytown road] to stealth camp [old route 55], 22.7 miles, 1,440.4 total at miles. 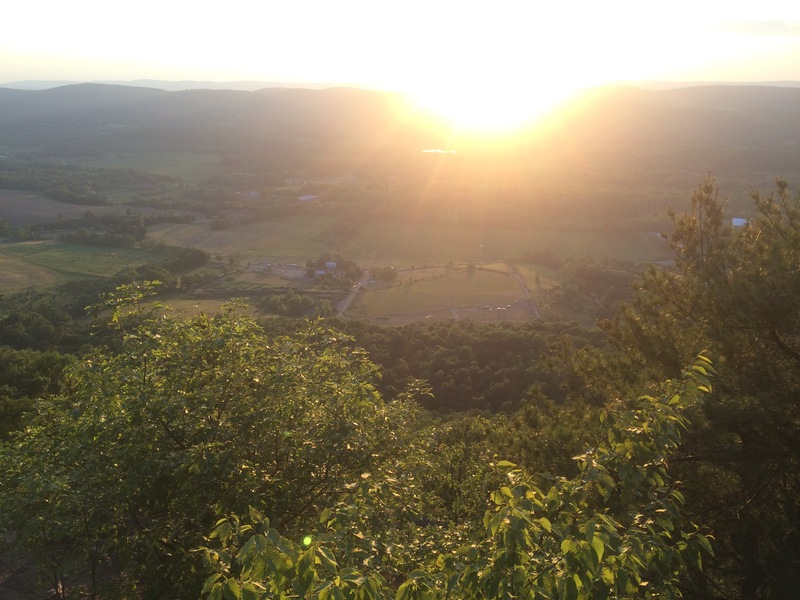 Day 104 – Tuesday, June 21: Bear Mountain to Fort Montgomery, NY to Stealth Camp (Dennytown Road), 17.3 miles, 1,417.7 total AT miles. Note: I lost my phone in NYC and, with it, all my photos and notes from the past week of hiking. I’ll do my best to catch up. I woke early, right before 6:00am – the wind was howling overhead and there was a chill in the air. I rolled over and looked around the parking lot. I watched a deer graze very close to me for about 15 minutes before starting to pack up. I checked my phone – Black Santa had just woke up and was packing as well. I told him to meet me by the vending machines. I checked the weather forecast for the day – sure enough, storms were moving in. I was ready to go by 6:30, just as the first raindrops were starting to fall. The storm was brief – not a lot of rain at all. Black Santa and I put on our pack covers and began descending Bear Mountain. The trail was awesome – excellent grade and very well-maintained. When I reached the bottom of the mountain, I saw why. 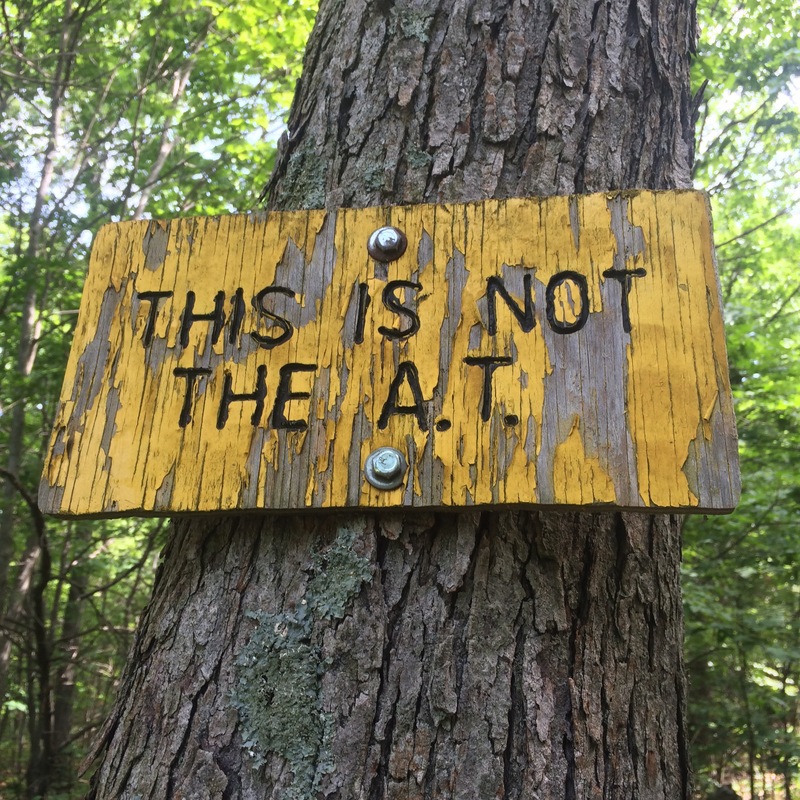 A sign was posted declaring the Bear Mountian section of the AT to be the first part of the trail ever created – very cool. Black Santa and I stuck together – I needed to head into the Fort Montgomery post office to retrieve my mail drops. And Black Santa needed to buy more snacks as he was running out of food as well. 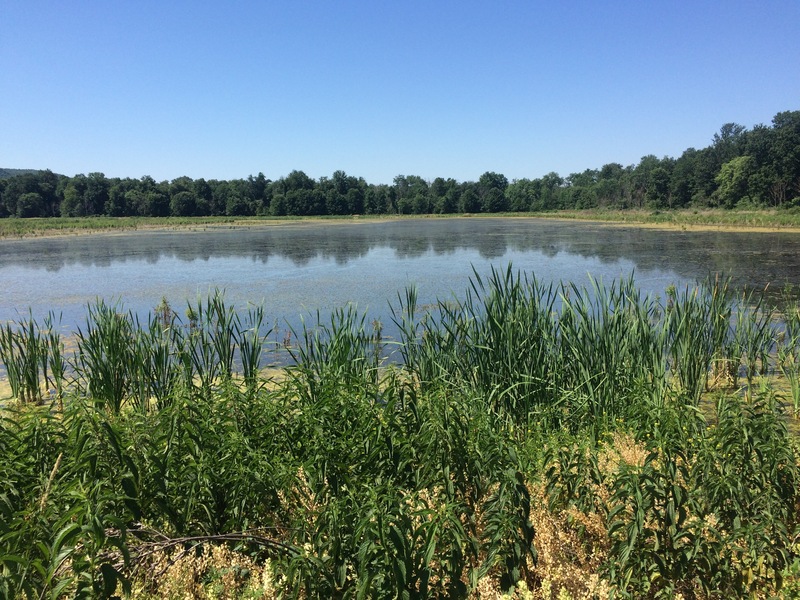 We made the short hike around Hessian Lake – unfortunately, the trail side zoo was closed (the AT actually runs through the zoo). We had to take a blue-blazed trail around the zoo grounds – too bad, the lowest point on the AT is located inside the zoo. We made our way down 9W towards Fort Montgomery, but were stopped short by construction – all of the sidewalks were closed. I guess we looked puzzled – a park ranger pulled over and offered us a ride into town, bypassing the construction zone. We got dropped off at a convenience store/market at 8:00am, waiting for the post office to open at 8:30 – I was the first in line. I had three huge boxes of food waiting on me. I loaded up my food bags and barely had room to cram everything into a box so I could restart my bounce box again. I also got my old trail runners back – the Merrell boots went straight into the trash can. We didn’t waste time trying to get back on the trail. We walked back down 9W, searching for an alternate route around the construction – we eventually found it near the Fort Montgomery Historic Site. We actually spent some time touring the grounds – it was very interesting learning about the fort and its role in the Revolutionary War. After making our way back up to AT, we turned and hiked over the Hudson River on the Bear Mountain Bridge – it was 11:00am at this point and starting to get hot. The ascent back to the ridge was rocky and steep in places, but my feet felt great – I could already tell a huge difference since switching into my trail runners. By 1:00pm, I needed my nap – I only slept about three hours last night and was starting to get tired. And the heat was only making matters worse. I told Black Santa I needed to stop – he also wanted a break. He knew I would probably be doing a little night hiking tonight and might want to join. We found a flat spot just off trail and set up our tents for a quick sleep. We woke at 4:00pm – I felt refreshed and much cooler. After eating a hot dinner and relaxing in the shade for about an hour, we hiked on. Our plan was to hike all the way to Pawling, NY some 30-plus miles away. But the terrain did not cooperate. The trail stayed rocky and was very difficult to follow in the dense forest. We continued hiking as the sun set – that’s when things got really slow – it was next to impossible to stay on trail. We probably missed turns (or just walked off trail) numerous times. It was nearing midnight and I was starting to get tired – and I knew we hadn’t hiked far. Savage, McDoubles, Champa and Get Weird were all tenting just ahead at Dennytown Road – Black Santa and I made it there by 1:00am. I couldn’t initially find their tents, so I decided to cowboy camp next to the information booth by the trail head. I was out like a light. I kept my food diary saved on my phone, so I really have no idea what I ate. Author Chris KummerPosted on June 26, 2016 June 26, 2016 2 Comments on Day 104 – Tuesday, June 21: Bear Mountain to Fort Montgomery, NY to Stealth Camp (Dennytown Road), 17.3 miles, 1,417.7 total AT miles. 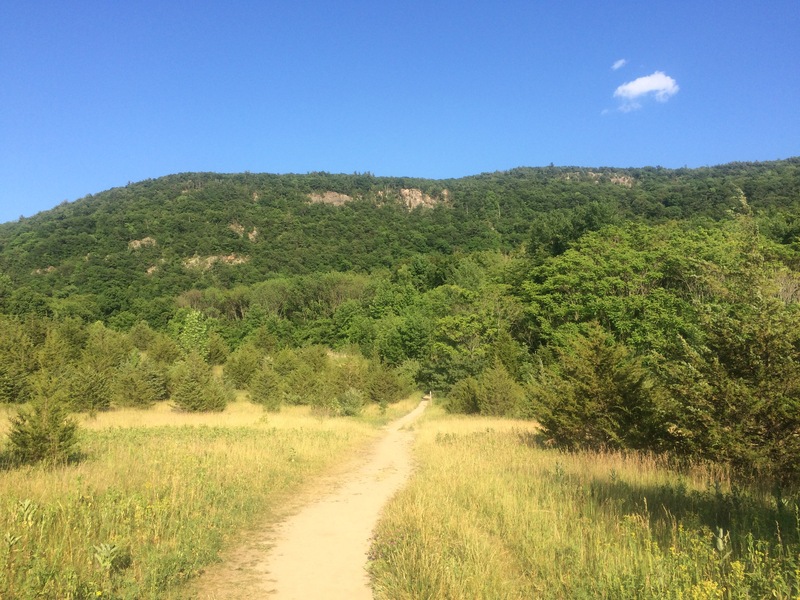 Day 103 – Monday, June 20: Buchanan Mountain to Bear Mountain, 21.1 miles, 1,400.4 total AT miles. I woke up at 5:30am and immediately started packing. I slept comfortably in a natural dip in the rock – it was like sleeping in a stone hammock. My feet were sore and my legs were stiff – I stretched and rubbed my feet before having breakfast. At 6:30, I was finally ready to leave camp and start hiking. The trail did not let up on me from yesterday – I immediately faced a steep, rocky descent and boulder scramble for the first few miles. I was moving slowly – there was no need in burning myself out on the tough parts. At 7:30am, I hit the Orange Turnpike and found a very nice spread of trail magic. I sat down and filled my water bladder directly from the jugs on the ground. Water scarcity has been a huge problem in NJ and now in NY. Many of the springs, creeks and streams listed in the AT Guide and on my GPS app have already run dry. I ate my last bit of breakfast foods and starting looking over my snack rations – with a hot meal today, I’d be close to running out of food by the time I hit Fort Montgomery. This is not of concern – I still have my emergency meal. I found myself sitting there for a while – I just didn’t feel good. I hadn’t felt good since leaving Branchville, NJ four days ago and was starting to wonder if I was getting sick. I sat in one of the chairs, half-heartedly consulting the AT Guide, when I heard another hiker approaching – it was Black Santa. He ended up tenting about a mile behind me – I don’t know how I missed him. After refilling his water, the two of us set off north. After another steep descent and busy road crossing, I followed Black Santa as he re-entered the forest. 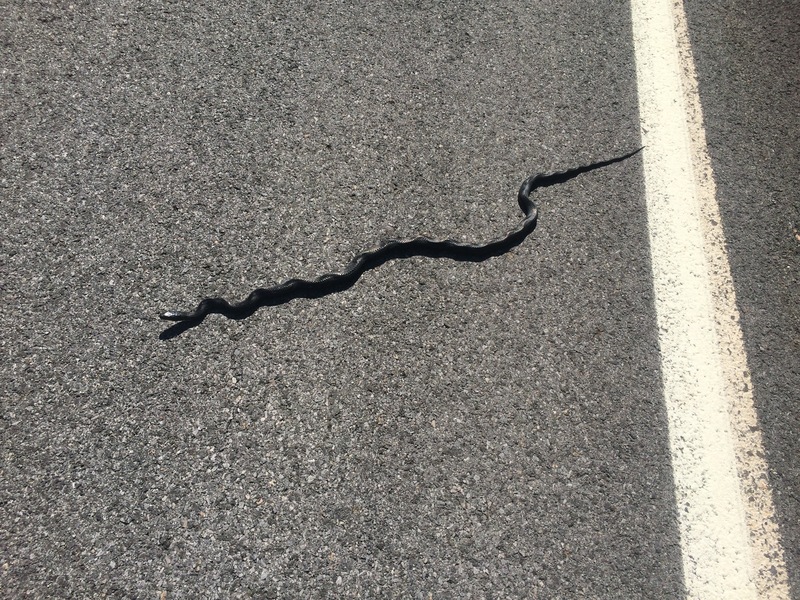 I passed another rat snake on the way. I didn’t realize it yet, but this upcoming section would the hardest I’ve hiked all week. I quickly stepped aside and told Black Santa to hike on – I knew I’d be dragging up this mountain. In an hour’s time, I hit the Lemon Squeezer – it’s a natural crevasse between two boulders. 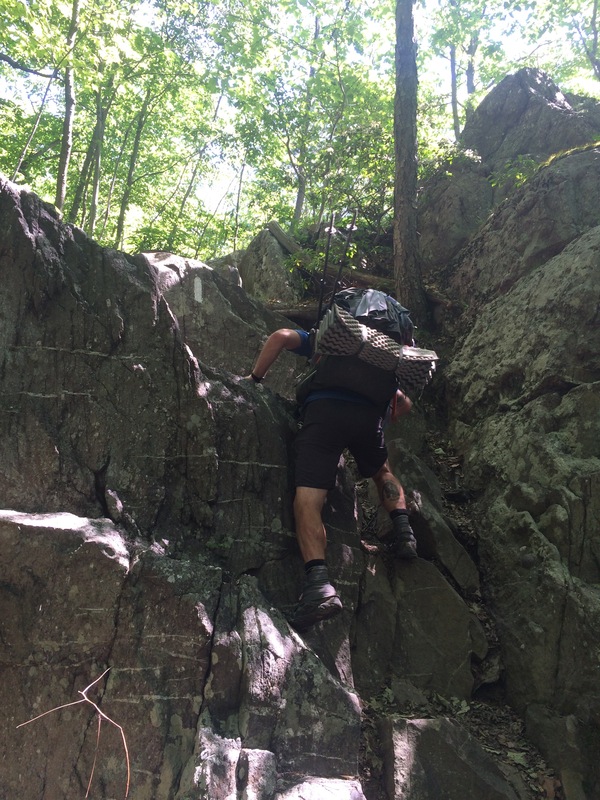 The only way to get through is to lift your pack high over your head and climb sideways. It was challenging for sure – and the fact that it was starting to warm up didn’t help matters. At 1:00pm, I finally passed the Fingerbowl Shelter, having hiked eight miles on the day. I was finished – sweat was pouring off my brow and I felt very weak. I quickly pitched my tent and fell asleep inside. I woke four hours later at 6:00pm. I stretched and looked around. The sun was starting to set and a cool breeze was blowing through the forest. I stretched my feet – they hurt, but not nearly as bad as they did when I first laid down to nap. I initially thought I might try hiking in my camp shoes, but rejected that after a test run. I did end up stripping the insoles out of my camp shoes (they were the old Merrell inserts anyway) and putting them under my Superfeet insoles in my boots. It was my hope that the extra padding might be enough to help. And it worked – or at least, it seemed to work. I quickly made my way down to Arden Valley Rd by 7:00 and cooked a hot dinner – I was starting to feel good. 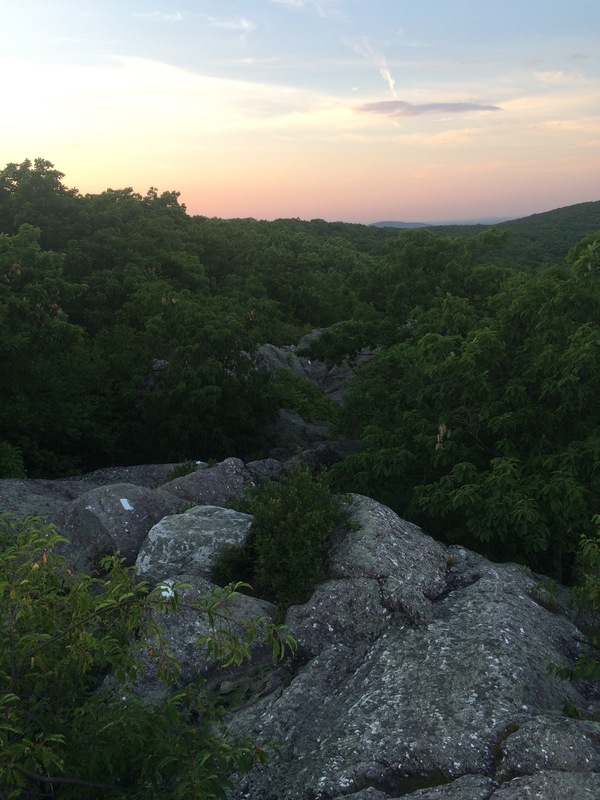 After dinner, the AT actually leveled out a bit and I got to enjoy some relatively easy hiking at sunset. At 8:00pm, I texted Savage and Black Santa. She was with the rest of the group at West Mountain Shelter eight miles ahead – he was nearing the summit of Bear Mountain and getting ready to camp. I felt hesitantly better than I had in days and decided to push to catch up with Savage at least. I hit a series of rugged ascents and descents, nothing like I went through yesterday, however. 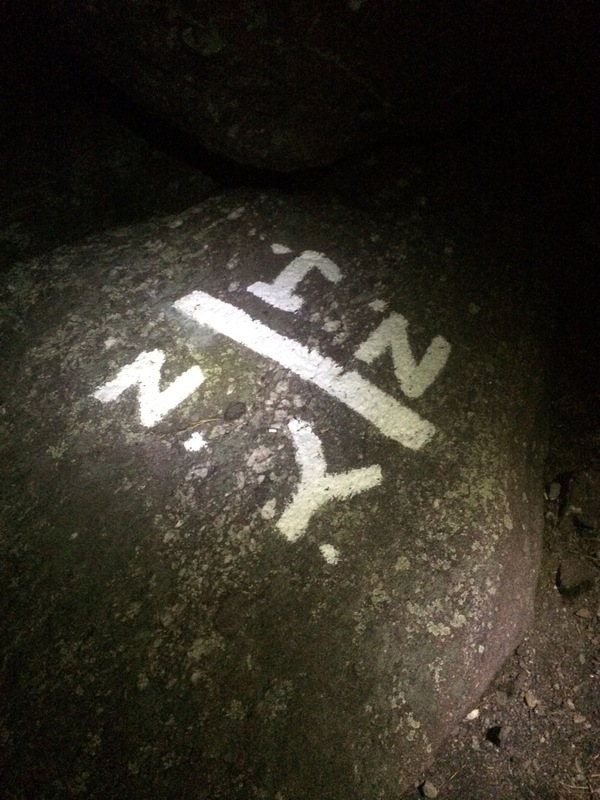 At 10:00, I paused at the summit of Black Mountain and looked to the south – for the first time on the AT, I could see the New York City skyline all lit up against the dark skies. It was neat – I rested for a good 15 minutes taking it all in. The ascent up West Mountain was challenging but brief – I quickly passed the shelter Savage, McDoubles, Champa and Get Weird were tenting at and continued down, and then up, Bear Mountain. I really enjoyed the hike up Bear Mountain – the grade couldn’t be beat. 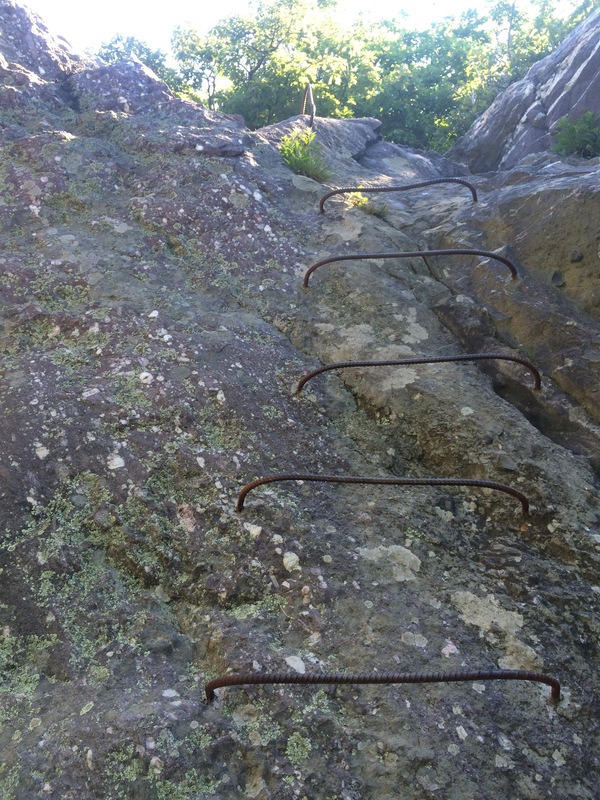 Every gain in elevation was marked by a stone step – the flat sections were gravel paths. I had a little trouble navigating in the dark – I lost the trail a few times. Finally, at 1:00am I reached the summit of Bear Mountain, spreading my sleeping pad and bag out in front of the vending machines. Tonight is the third night in a row I’ll be cowboy camping. It’s nice – especially tonight. A stiff breeze is keeping the bugs away. Speaking of which, I need to buy a bug net for my face. The Merrell boots are shot. That extra insole provided some padding, but not enough to keep them around. I don’t know how many many miles are left on my trail runners – I’ll find out tomorrow when I pick up my maildrops. While I feel great now (just gorged on vending machine snacks), I really felt sick earlier in the day. I’ve been drinking plenty of water, but not eating as much as I normally would. And I’ve been much more tired than usual. I think I’m being affected by the heat (today nearly hit 90) and poor footwear as opposed to being sick. Here’s hoping. On Thursday, Black Santa and I could potentially be on a train headed for NYC. I need to look a the numbers first – I want to summit Katahdin the first week in August, about 45 days away. I have plenty of time to reach this goal – I just need to be very careful how I use my days off. Savage and the rest to the group are about four miles back – Black Santa is somewhere on this mountain, I think. I’m heading to the post office first thing in the morning – it’s about four miles away just off the AT. I’m setting up another bounce box as I’ll be receiving much more food than I can carry. I’ll likely have it sent somewhere in Connecticut for use after I return from NYC (if I even go). I’d like to hike at least eight miles before taking my mid-afternoon nap – it’d be great to put in some more miles after the sun goes down as well. 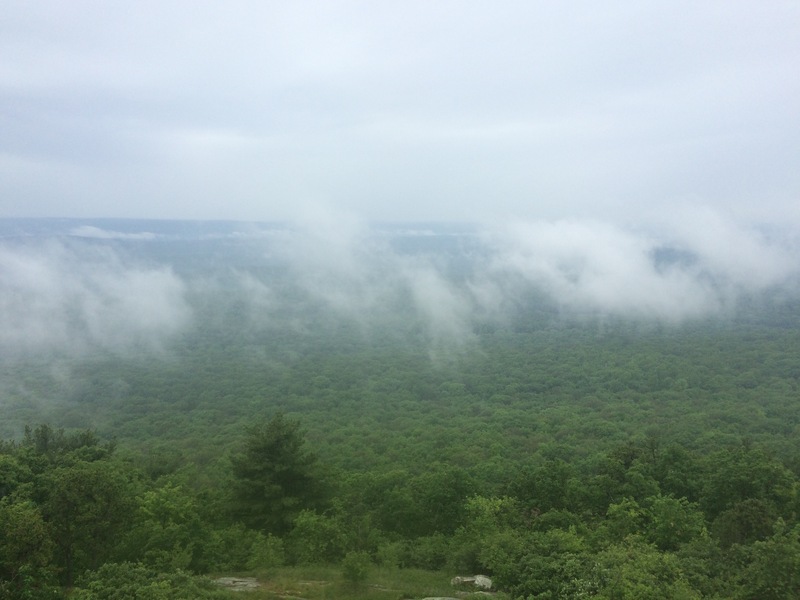 Author Chris KummerPosted on June 21, 2016 5 Comments on Day 103 – Monday, June 20: Buchanan Mountain to Bear Mountain, 21.1 miles, 1,400.4 total AT miles. 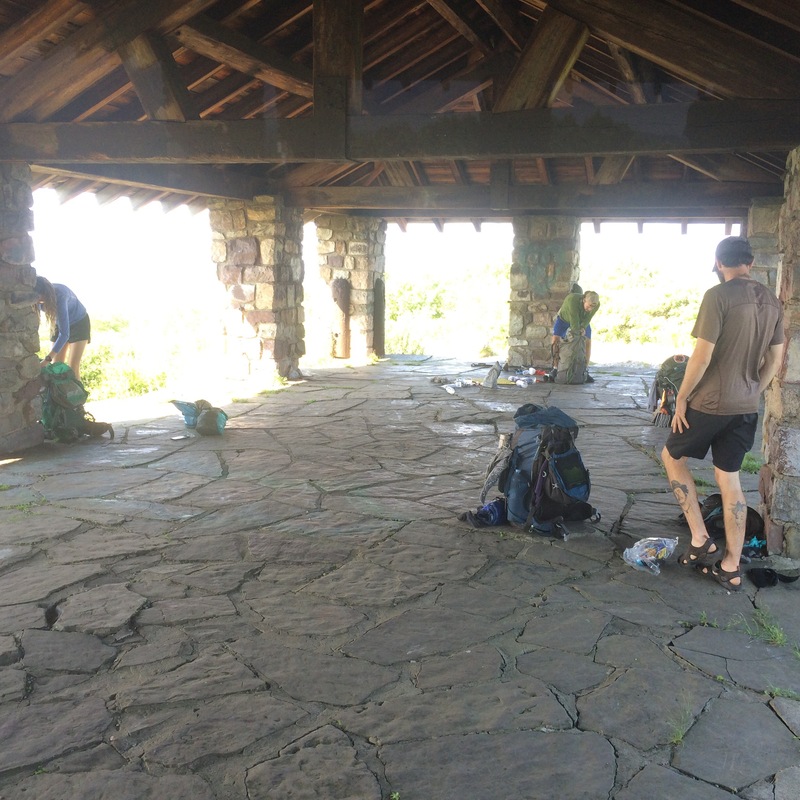 Day 102 – Sunday, June 19: Stealth Camp (NY/NJ Border) to Buchanan Mountain, 13.9 miles, 1,378.3 total AT miles. Note: I’m finishing this post on Monday from my tent – this has been a brutal couple of days. I woke at 6:45 – the sun had completely risen. I sat up and looked over at Black Santa – he was still sleeping amongst the rocks. I stood and stretched, trying to find the energy to start hiking. I was tired and very sore. Every step was painful – it really reminded me of that hike into Damascus, right before I got new boots. By the 7:30, the two of us were packed and ready to go. I tried taking the lead, but had to let Black Santa pass quickly – I could barely move. I stopped at 9:00 to have breakfast – I had only hiked just a mile when McDoubles caught up to me. He was surprised to see me – I knew I was ahead of him, I just didn’t know how far. The two of us resumed hiking – neither of us was going fast. The terrain was brutal. This section is indeed “challenging” – the trail ascends and descends rapidly, the whole time traveling over rocks and boulders. I even found a rebar ladder at one point to aid in a particularly bad ascent. The two of us continued hiking in this manner for the next three hours – just when I thought I was starting to pick up momentum, I’d find myself facing another rock scramble or boulder climb. I even ran into a snake just before noon. At one point, I tossed McDoubles my phone so he could take my picture – I just couldn’t believe the trail had not given us any slack yet. It was nearing 12:30 – McDoubles and I were plugging along. We turned a corner in the trail and found Black Santa resting in the shade. I asked if he was going to the creamery to get a snack – Creamery? he said, Sure! The three of us headed just 0.2 miles off trail to the Bellvale Farms Creamery and enjoyed a scoop in the shade. I was relaxing, trying to find the energy to move forward. By this point, my legs, knees and ankles were aching just as bad as my feet. I really can’t wait to get my trail runners back in Fort Montgomery. At 1:30pm we were back on trail, looking for a suitable spot to rest – it was getting hot again and I was getting really tired. We found a campsite at 2:00pm and I set up my tent. After cooking a hot lunch, I immeadiately shuffled over and went to sleep. I awoke four hours later – I was hot, for sure, but felt very refreshed. I looked around – Black Santa and McDoubles were nowhere to be seen. I was initially confused, but then checked my phone. Savage, Champa, and Get Weird were tenting about 15 miles ahead – I assumed the rest of the guys were trying to catch up to them. At 7:00, Tortilla stopped by camp. We chatted briefly – I told him I was gonna night hike as far as I could go, hoping to catch up with Black Santa and/or the rest of my hiking group. He was headed to the shelter two miles ahead – and was also suffering in the heat. At 7:30, just as the sun was starting to set, I finished packing up and hit the trail, determined to make miles. I cruised in the waning sunlight, pulling into the Wildcat Shelter at 8:30 – I saw Tortilla’s tent, but no Black Santa. I pressed on. While I assumed tonight would be perfect for night hiking, I was quickly proven wrong. The forest I was hiking in was dense and sparsely blazed – this combo made hiking in the woods very difficult. While I had plenty of light to see the trail clearly, I never had enough to see ahead. After taking a 200 yard accidental detour, I kept second-guessing myself as I hiked on. I passed Fitzgerald Falls and made it to the Mombasha High Point, pausing to eat a hot dinner at Allis Trail, just before the summit – here, the AT was extremely rocky and made the boulder crossings along the ridge very difficult. I was moving at a snail’s pace. I finally made it to Buchanan Mountain at 1:30am. I had been hiking for five hours and had only covered eight miles. I was done. I found a nice spot amongst the boulders and stretched out my sleeping pad, deciding to cowboy camp again. I tried writing, but fell asleep on my keyboard. This section contains some of the hardest trail I’ve ever hiked. These steep microascents and descents are really taking a toll on my feet – I’ve quickly become one of the slowest hikers on the trail. Fourteen miles – what a sad day. Tomorrow, I’ll be up early – that’s how it goes when I’m cowboy camping. It’s kind of like sleeping under an overpass – it makes for speedy packing up in the morning. If the heat gets too bad tomorrow (which it’s forecast to), I’ll likely wind up taking another midday nap to beat the heat. Hopefully, I’ll reach Fort Montgomery tomorrow afternoon, but I’m not counting on it. Snack: Bellvale Farms: two scoops of strawberry ice cream on a waffle cone. 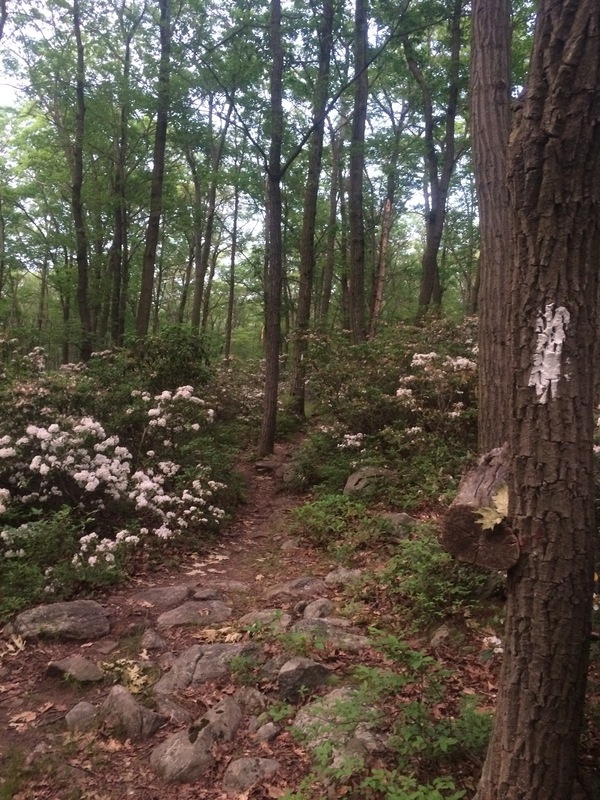 Author Chris KummerPosted on June 20, 2016 1 Comment on Day 102 – Sunday, June 19: Stealth Camp (NY/NJ Border) to Buchanan Mountain, 13.9 miles, 1,378.3 total AT miles. 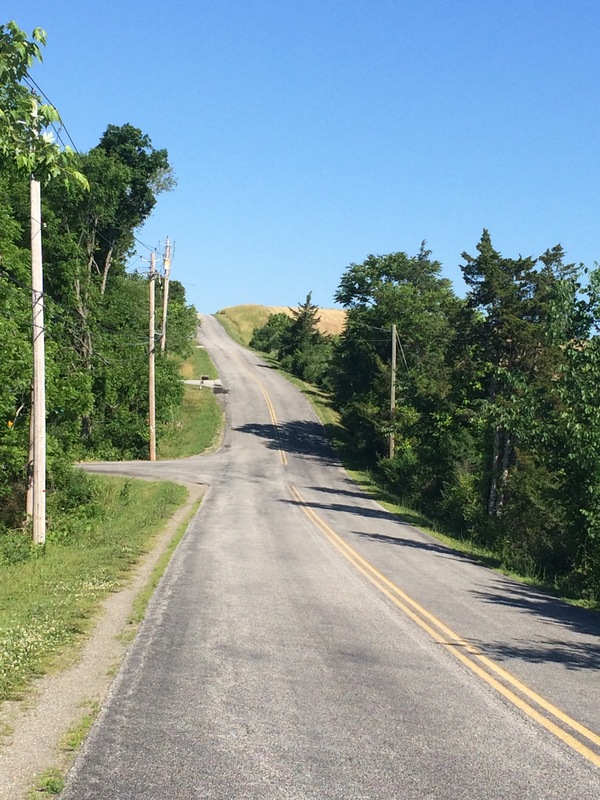 Day 101 – Saturday, June 18: Unionville, NY to Stealth Camp (NY/NJ border), 20.9 miles, 1,365.4 total AT miles. I woke early – I looked to be the first hiker stiring at 6:00am. I walked over to the privy, and then to the grocery store for coffee and juice, before heading back to the park. I was surprised to find both Savage and Champa packing up for the day. Savage was energetic – she said she wanted to make big miles and subsequently took off down trail with Champa, then Get Weird, following behind. I took my time. I was packed up by 7:00 and made my way over to Black Santa’s tent. He was awake, but tired – he hiked just over 30 miles yesterday to catch up. McDoubles was awake as well – I decided to wait on them so the three of us could have breakfast at the grocery. After a quick bagel sandwich, we started slowly hiking north. Having bought way too many snacks in town, we all had heavy packs. The first two miles out of town were easy – McDoubles took the lead with Black Santa and I right on his heels. We were looking forward to our hike this morning. While the trail was listed as “challenging”, we should get to enjoy to large sections of flat roadwalking – and our first one lay right ahead. 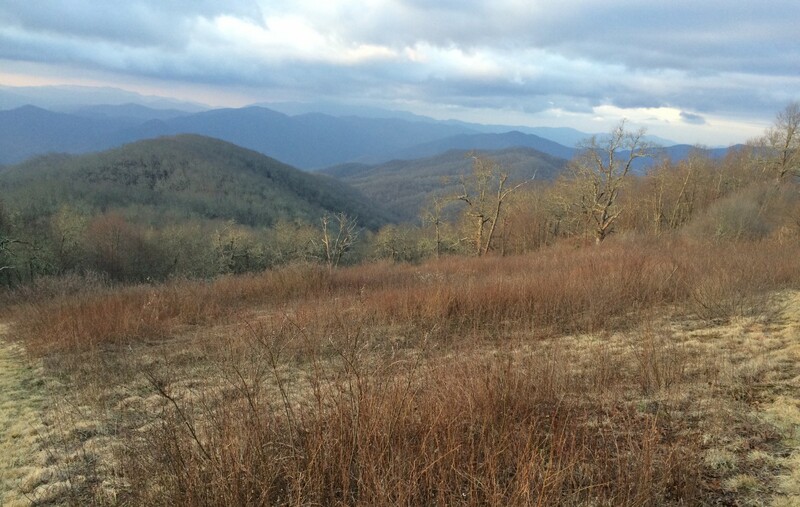 I checked my GPS app and frowned – we were almost a mile away from the AT. We turned around and headed back to the trailhead. While we walked back, I instantly noticed how hot it was getting. I could feel the heat coming from the blacktop below – I was sweating bullets and it was only 10:00am. We slowly made it around the preserve and finally took a break at a water spigot six miles away from town. It was nearly 11:30 and we had only hiked seven miles on the day. We tried motivating ourselves to hike harder, but soon fell back into the same pace. On top of the heat, this section was indeed proving itself to be difficult – just like in PA, rocks and boulders still littered the path. 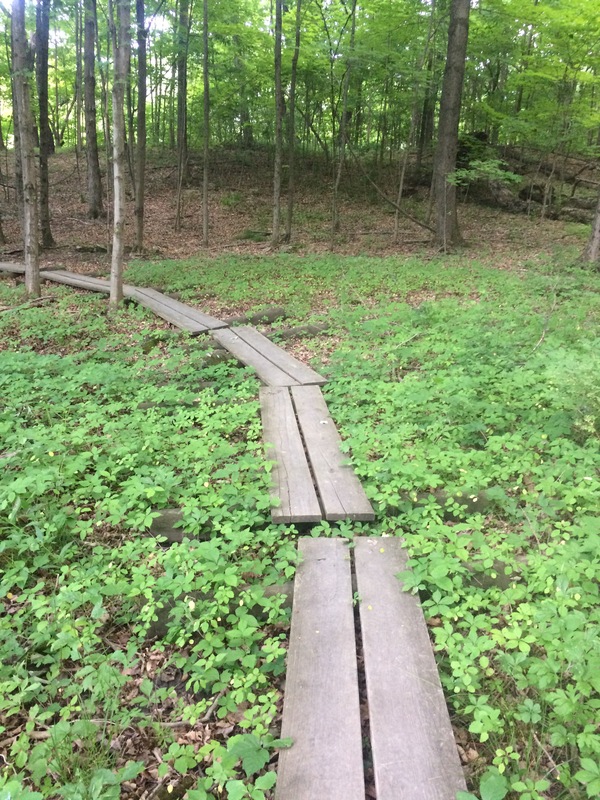 After summiting Pochuck Mountain, the AT makes a rugged little descent down to nice boardwalk over a large swamp. We followed the path for a few miles, sweating in the hot sun. At the end of the boardwalk, I spilled out onto NJ 94 and followed a sign to Heaven Hills Farms, a small nursery that sells fresh foods and baked goods just off trail. I was beat. I needed a Gatorade, a Mountain Dew, anything to provide a boost to get through this heat. We entered the store and bought snacks – I was enjoying an ice cream outside when the owner walked over and said we could use the wash sinks out back for “anything” if we needed. I took her up on the offer, washing as best I could and doing laundry. Black Santa and I put our laundry in the sun to dry and rested in the shade -it was 86 outside with no wind and no clouds. I was miserable. I wouldn’t have thought temps in the mid 80s would wear me out so quickly. I imagine having 40 pounds of gear (and snacks) strapped to my back doesn’t help. We left the nursery at 6:30 – by now, the sun was starting to go down and it was noticeably cooler outside. I started catching cool breezes. I felt like hiking again. Black Santa and I made the decision to make it to the NY/NJ border, no matter how challenging the terrain may be ahead – we only had nine miles to go. We summited Wawayanda Mountain and enjoyed dinner at the Pinwheels Vista – while we were cooking, a bear came into view. She was large and had three small cubs with her. And she was close – thankfully, there were about seven other hikers yelling at her to keep moving. The bear did move – straight into a stealth camp a hundred yards away. While they were yelling at the bear, Black Santa and I thought it would be a good time to hike on. We switched on our headlamps and starting trying to gain ground on the difficult terrain. 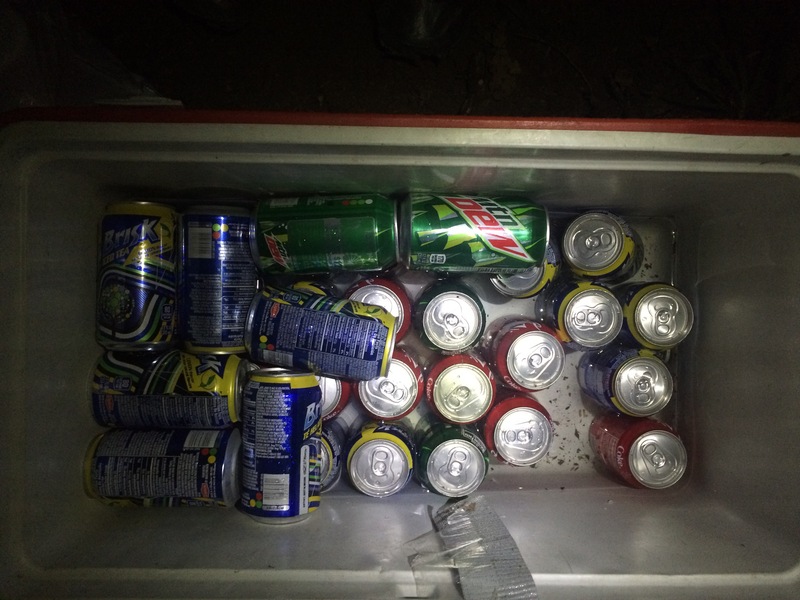 At 9:00pm we ran into trail magic – I finally got my Mountain Dew after all. At around 10:00pm, we ran into a bear – it immediately took off running away from us, crashing loudly through the woods. (Bear encounters are becoming less exciting). We paused a few times for snacks. The terrain was difficult and we were getting tired. At 1:45, we crossed the border and an hour later, I was fast asleep, cowboy camping not a hundred yards away. This heat is awful. And it’s only going to get hotter, I know. The night hike worked out great actually – I really enjoyed it. Dinner: chicken Tetrazini MRE (meal ready-to-eat). I bought it from the grocery store in Unionville – it was bulky, but but fun to cook. Author Chris KummerPosted on June 19, 2016 Leave a comment on Day 101 – Saturday, June 18: Unionville, NY to Stealth Camp (NY/NJ border), 20.9 miles, 1,365.4 total AT miles. 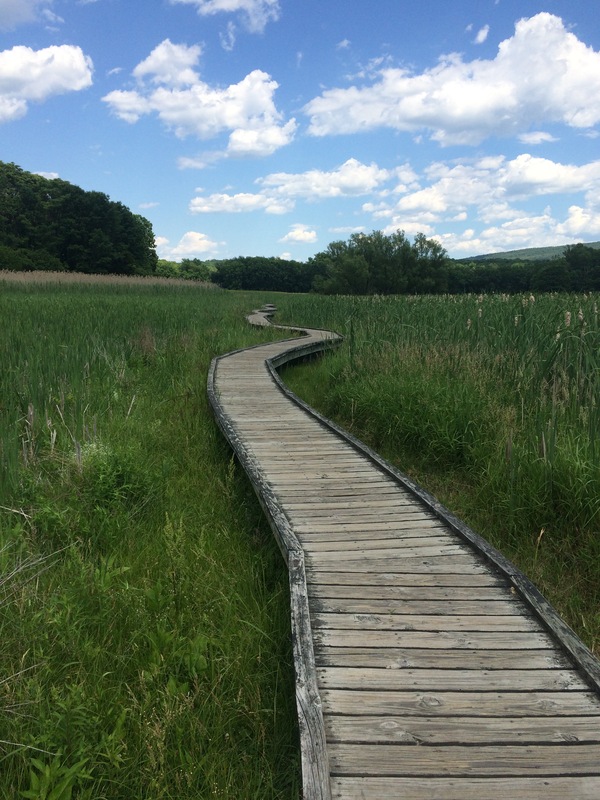 Day 100 – Friday, June 17: Stealth Camp to Unionville, NY, 17.8 miles, 1,344.5 total AT miles. I woke up at 7:00 feeling great – I guess I needed to work some things out in my head. I started packing immediately, excited to catch up with the rest of the group. I checked my phone – Black Santa was already up and moving, presumably about five or so miles behind me. I ran outside to use the bathroom and, while I was digging a cat hole, unearthed an old, brown bottle. I decided to keep it – I’ll mail it home once I hit Fort Montgomery, NY in three days. I was all packed up and ready to hike north at 8:15am. It only took a few minutes, but I soon found myself at the pavilion on Sunrise Mountain. Savage, McDoubles and Champa all decided to camp here last night – I was literally 100 yards south. The four of us discussed the day ahead – my goal was to hike at least 20 miles. The terrain looked easy enough – I faced no serious elevation concerns, just more rocks and boulders. But the weather was awesome – the forecast called for a high in the mid-70s with a nice breeze all day. After a quick breakfast, the four of us started hiking north. For the most part, the four of us stayed in close proximity to each other. We chatted about the possibility of everyone going to New York City – most in the group are still undecided. We also talked about our potential end dates (when we see ourselves summiting Katahdin) – I’m still shooting for the first week in August. At 10:30, we came across the Mashipacong Shelter. 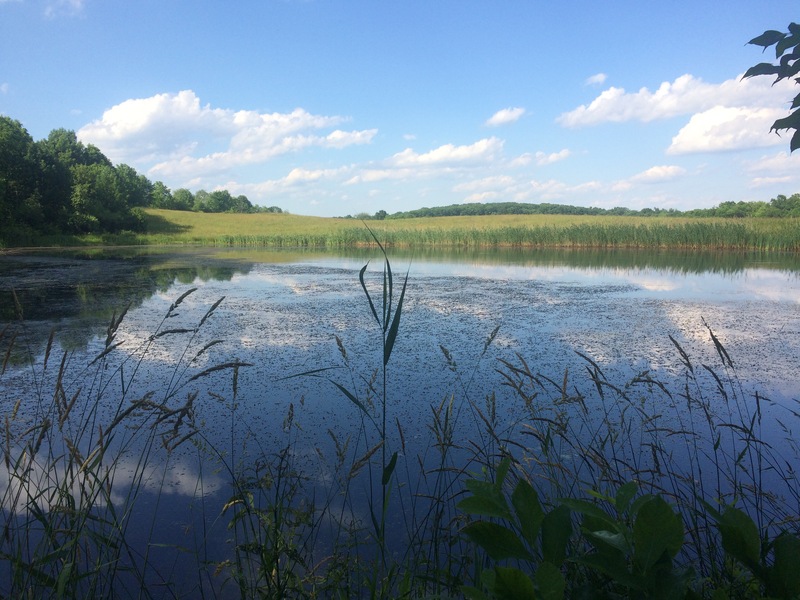 Water management has been an issue for a while now – quality water sources in eastern PA and NJ have been hard to come by. I hiked water into camp last night, but I was nearly out. Thankfully, we found gallons of water stashed for us in a bear box – it’s the little things out here that make all the difference. I did get a little turned around while at the shelter. With fresh water on board, the four of us hiked on, spilling out onto Deckertown Turnpike at 11:00. 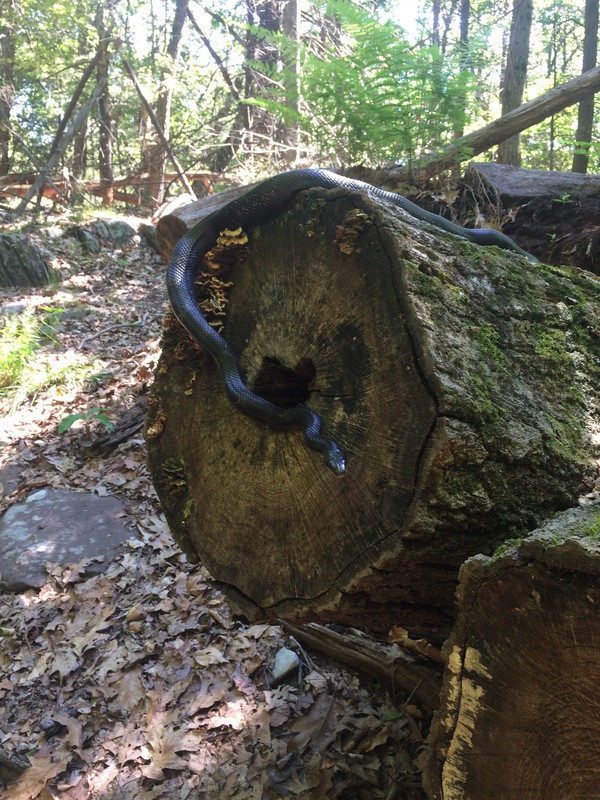 As we crossed the road, I saw a familiar face – Get Weird was relaxing by the trailhead. She had just gotten dropped of to start a slackpack towards Unionville, NY – and she brought trail magic. I slammed few Mountain Dews before heading north. Having just been in Unionville, Get Weird recommended we stay there for the night. The city actually lets hikers camp in the small park right in the heart of downtown. I checked the AT Guide and, sure enough, it didn’t look like a bad idea at all. While I’m carrying plenty of hot meals to reach Fort Montgomery, I’m running very low on snacks – maybe a quick stop in town is in order after all. 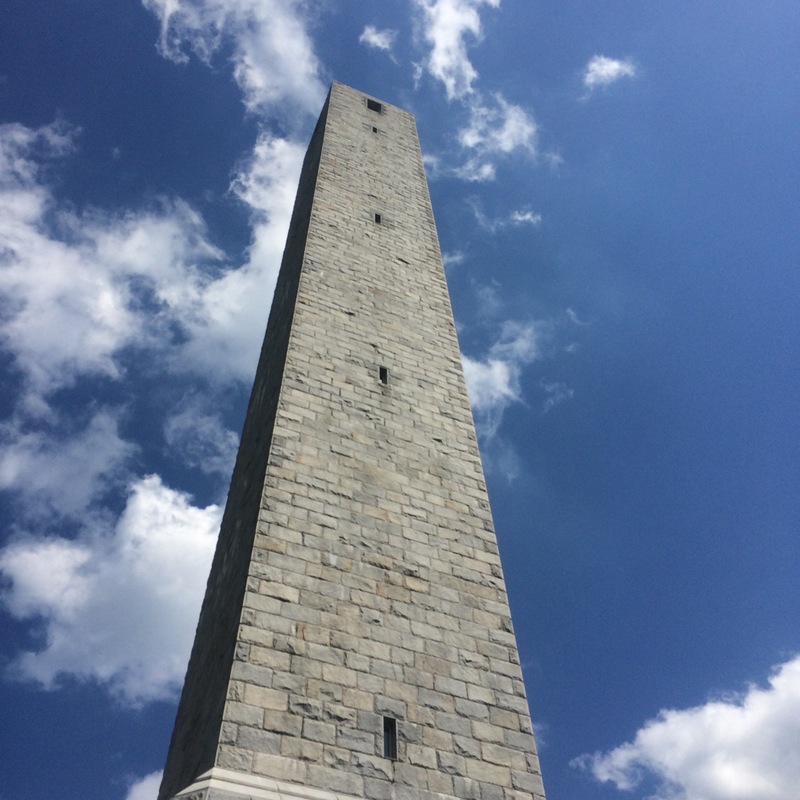 Two attractions lay six miles ahead – a beach (lake) and a giant stone monument marking the highest point in NJ. While everyone else was hiking hard to reach the beach, Savage and I decided to check out the tower instead. At 1:15, we started catching glimpses of the monument in the distance – 20 minutes later, we were having snacks at its base. 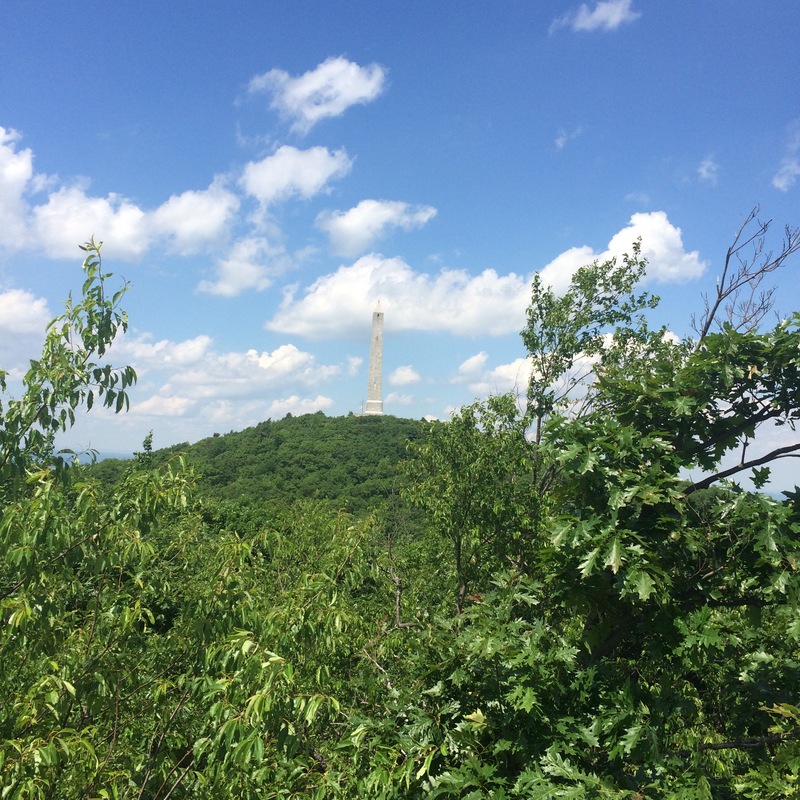 We decided to climb to the top – there were 300 terrifying steps leading up to the biggest disappointment on the AT. There wasn’t any sort of observation deck – it was more like a closet with four dirty, narrow windows. You couldn’t even take a picture – we started heading back down, texting our friends along the way in hopes they’d not make the same mistake we had. At 3:30, Savage and I were ready to get moving – we had just over seven miles to cover before hitting Unionville. We took off – soon catching both McDoubles and Champa. I was moving great today – Savage and I bypassed the High Point Shelter and started booking down the ridge towards town. We passed a lovely pond and spent much of our descent walking on a makeshift boardwalk. We made it to Lott Road at 6:00pm and turned to march into town. I walked into the town grocery store and registered to occupy a spot in the town park – I also went ahead and purchased (more than) enough snacks to make it to Fort Montgomery in a couple of days. The four of us set up camp in the park – Get Weird was already here (she really flew down the trail since she was slackpacking). Having heard that the town tavern has a pool table, the five of us strolled down to Wit’s End and played a few games. Note: I actually ran the table all night – I was unstoppable. By the time I’d won my seventh game, I was getting tired and had to just walk away. While we were enjoying dinner, Black Santa texted me – he had just made it to town. I left the tavern and walked him over to the campsites. After cooking a quick dinner on the basketball courts, I retired to my tent to start writing. Today was a great day hiking – even though the terrain has remained rather rocky, it seems that it’s starting to get a little easier. Tomorrow looks like more of the same, but the AT Guide lists the upcoming section as “more difficult than it looks” – we’ll have to wait and see. Our small group has found itself in the midst of a larger bubble of hikers. I recognize most of them – even played pool with a few of these guys in Duncannon and Port Clinton, PA.
I’m hoping to be in Fort Montgomery by Monday afternoon – it’s about 60 miles away. My boots are completely shot, I did end up buying a roll of duct tape to keep the front sole attached to the shoe. It works – I just look pretty ridiculous. 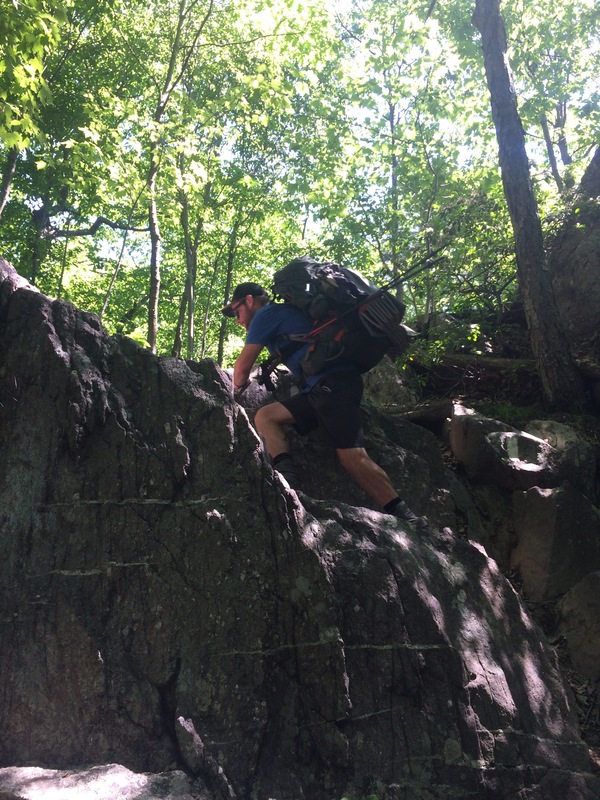 Author Chris KummerPosted on June 19, 2016 Leave a comment on Day 100 – Friday, June 17: Stealth Camp to Unionville, NY, 17.8 miles, 1,344.5 total AT miles. 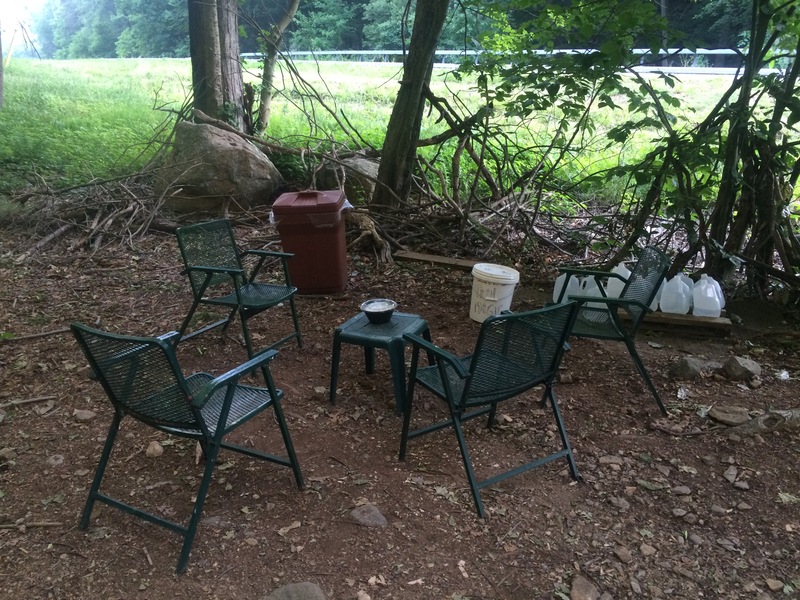 Day 99 – Thursday, June 16: Branchville, NJ to Stealth Camp, 5.3 miles, 1,326.7 total AT miles. I woke at 7:30 – I was very aware I wasn’t in the woods. It didn’t feel right. I didn’t sleep well – I tossed and turned most of the night and noticed the sheets came off the bed. I was partially laying on the bare mattress. Gross. I skipped the shower and packed quickly – I wanted to get the hell out of there. I dropped my keys off with a person I assume worked there and left in a hurry. I caught a ride to a local diner and sat in a booth. After sipping coffee, I ordered a huge meal (I was starving) and slowly ate as I updated the website. The server was very friendly – you can tell she’s the rare restaurant worker who enjoys waiting on hikers. I wasn’t in a rush. It had rained overnight and we were supposed to have showers into the afternoon. Plus, I just didn’t feel like jumping back into the fray – I knew that, moving forward, I’d have fewer and fewer opportunities to enjoy a day in town. I wanted to make the most of it. At 10:00am, Champa texted me. Savage, McDoubles and himself were only a mile away from US 206 – they had been hiking since 7:00. I told them I thought the food was great and that they should hitch in for breakfast – they joined me half an hour later. It was great to see those guys – I genuinely missed them. We occupied two booths (in the corner, far away from the locals) and caught up. Two nights ago, when I scared off that bear at Sunfish Pond, Champa chased two bears away from camp. So New Jersey does have bears (and turkeys). They ordered and I continued picking at my food. By noon, we were all done and getting anxious to get back on trail. We filled up our water bladders from the soda machine and Champa asked a local with a pickup for a ride. Five minutes later, we were at the trailhead. I texted Black Santa – he was still at the MOC and bored out of his mind. His package wouldn’t be arriving until 3:00pm. We stood in a gravel parking lot listening to music for a good fifteen minutes before hiking on. The plan was to hike 16 miles and camp on/under/near an observation tower marked in the AT Guide. The terrain looked similar to yesterday’s and we got moving in a hurry. The ascent out of Branchville was very gradual – I hiked with Champa (we talked politics) and made really good time. Note: I’m a political person in the real world – before I decided to hike the AT a year ago, following politics was my hobby. Out here, I rarely discuss political matters. Today was the first day I had an extended conversation about it. I can’t believe it. 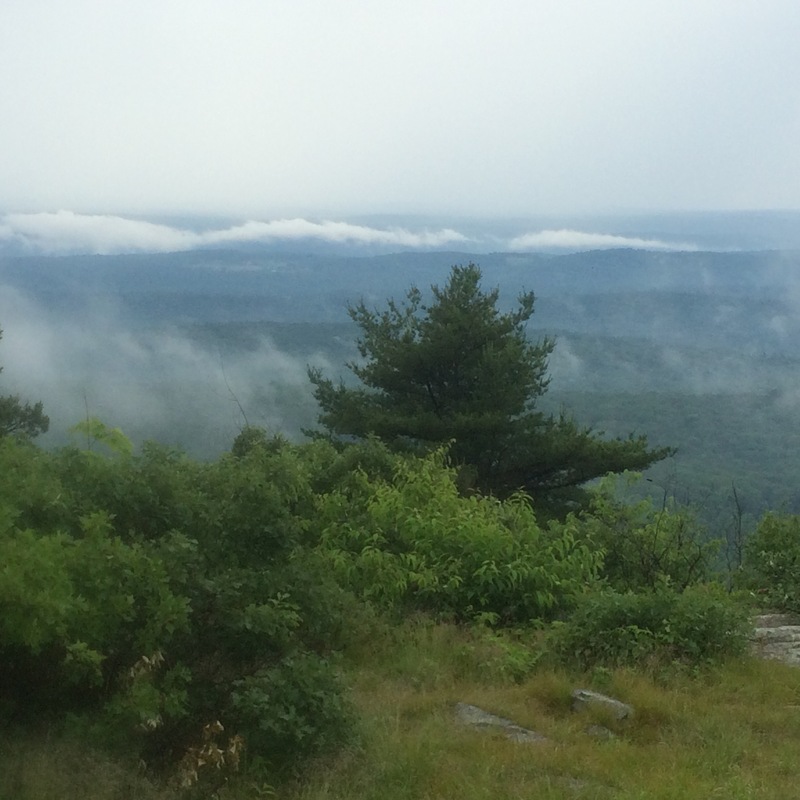 We caught up with Savage and McDoubles two miles away at the Culver Fire Tower. After psyching myself up, Savage, Champa and I climbed to the top flight of stairs (the observation booth was locked). 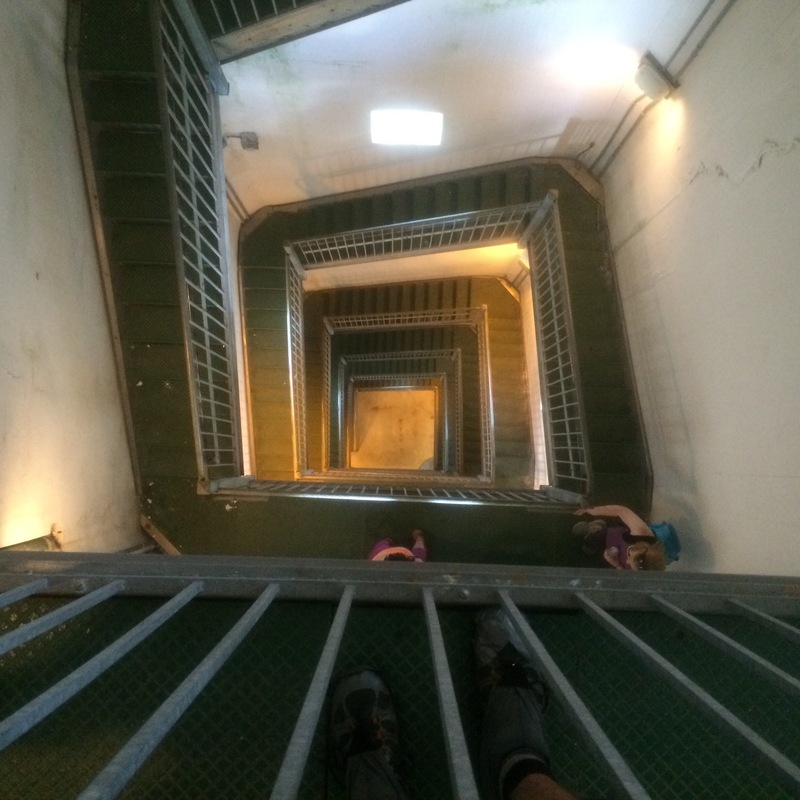 I was terrified – this thing was probably built in the 40s. I snapped a few pictures and scrambled down. I made it back to Earth with my knees shaking. Good job, Cool Dad. The four of us set off at 2:00. Champa and I re-engaged in conversation, but were stopped short by McDoubles and Savage a mile later. They were pointing at a trail register box attached to a tree – they told me to carefully open the lid. 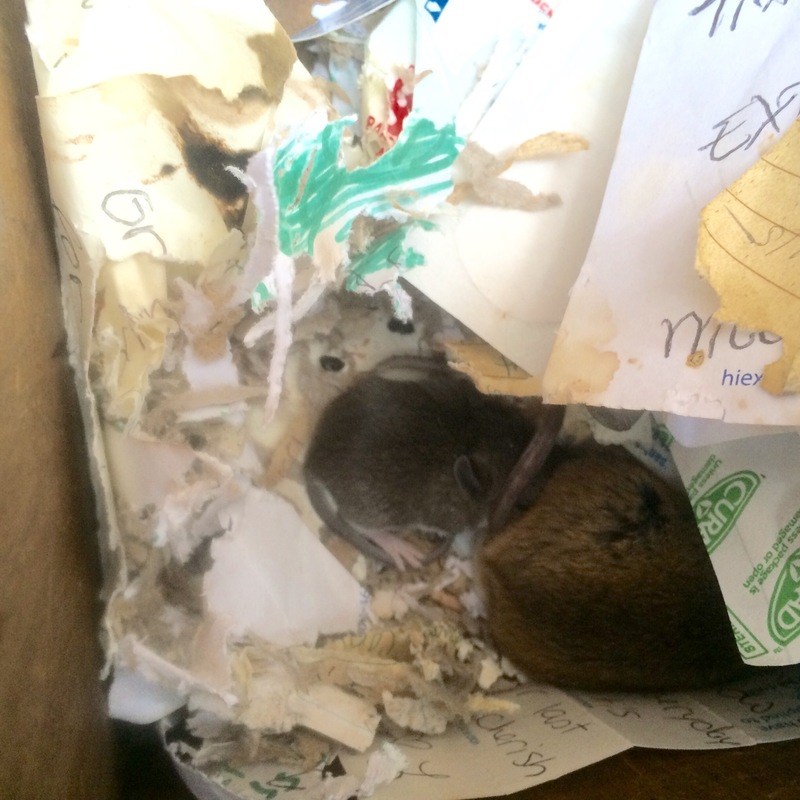 A mouse family had made a nest inside and was curled up in a small, cute ball. As we hiked north, we got caught in a brief rainstorm and paused on the trail under a small grove of trees to wait it out. Fifteen minutes later, we were back on trail – we still had ten miles to hike to get to the observation tower. It was about here that I started slowing down. I didn’t have the restful night in town all to myself I had been hoping for. For the first time this entire hike, I felt truly unmotivated. I decided to start looking for a place to camp. I felt bad. I had just caught up with my hiking buddies only to find myself wanting to crawl into my tent. About a mile away, I found a suitable, flat spot just off trail. I set up my tent in a light rain. This was a good thing – I finally got to see if I could set it up rainfly first to avoid getting the tent body wet. It was successful. Good job, Cool Dad. As I was unpacking in my tent, I got a text from McDoubles. They also decided to stop short and were camping at a pavilion ahead. I checked my GPS app – they were 0.1 miles away. Geez, if I knew that I would have pressed on. It was only 5:00, but I got into my sleeping bag and shut my eyes. I woke up from my nap at 7:00 and felt better. I considered packing up and hiking to meet the rest of the group, but decided to stay put – I needed to finish updating the blog and I wanted to talk on the phone with family and friends. And I did just that, eating snacks (instead of cooking) the entire time. After talking on the phone, I pulled out my keyboard and started writing. So here I am. I’ve been in my tent now since 5:00. I’m a little disappointed I didn’t hike further today. It happens, I suppose. Not every day comes up aces. I read a lot about thru-hikers experiencing what I’ve been going through these past few days. It’s all part of the “mental struggle”. It’s not that I’ve lost interest in hiking (although I’ve read that happens). I guess my mental struggle lies in the enormity of this whole thing. Tomorrow will mark my 100th day hiking – and I still have 45 to 50 days to go. That and the trail got a little boring after leaving the mountains behind in Virginia. While PA had it’s moments, it was mostly painful and quite dull – I spent most of my time looking down to make sure I wasn’t going to trip on a rock. So far, New Jersey has gotten better, but it still feels like I’m hiking in a forest rather than on mountains. Maybe that’s why I’ve been wandering into so many towns lately – I guess I’ve been trying to keep this thing interesting. Looking forward, I have a mail drop (with my trail runners) coming to Fort Montgomery, NY 80 miles ahead – I’d like to be there by Tuesday afternoon. Doing so would mean I’d be close to the Appalachian Trail Railroad Station late next week. This station is actually right off trail and services New York City – I could be in Manhattan in two hours. I’ve always wanted to go into New York City the same way we visited Washington D.C. – fresh out of the woods and with packs in tow. I’ve even budgeted both the time and money to do so. I’m gonna say “we’ll see” for now, but am pretty sure I’ll go. Black Santa and Get Weird texted me – he’s 11 miles behind and claiming he’ll catch me tomorrow. And she’s just four miles ahead, having gotten off trail to eat homemade meatballs in New Jersey with another hiker she knows. I’m looking forward to starting tomorrow with a clear head – I usually bounce back pretty fast. I hear weird noises coming from outside my tent. It’s like a repetitive grunting followed by a cooing. It’s close. At first I thought it was a bear, but the cooing threw me. I’m pretty sure it’s turkeys and I’m pretty sure they’re mating. Dinner: The last of my Dot’s Pretzels. I’m still really full from breakfast – the Jumboland Diner has been my favorite diner so far. 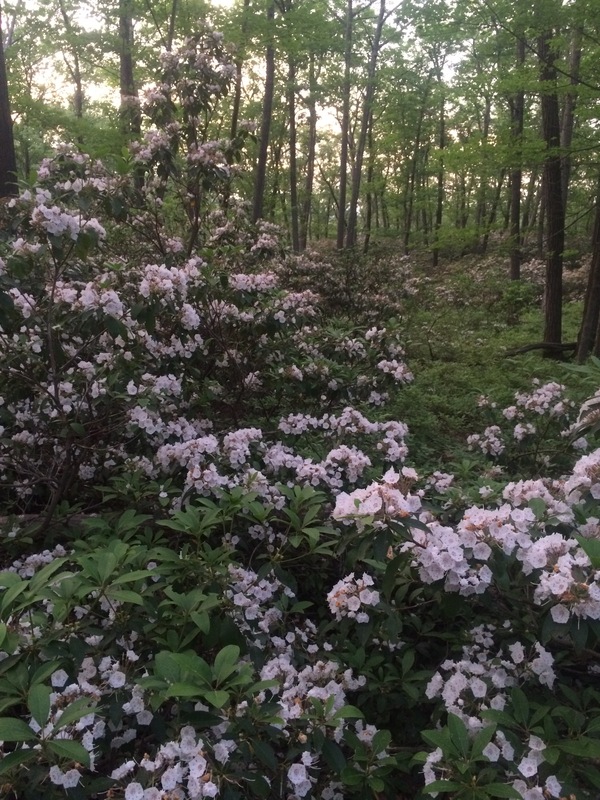 Author Chris KummerPosted on June 17, 2016 3 Comments on Day 99 – Thursday, June 16: Branchville, NJ to Stealth Camp, 5.3 miles, 1,326.7 total AT miles.